UrbanLogiq Traffic Intelligence aggregates diverse data sets such as traffic counts, weather, infrastructure, mobile and accidents so that cites can understand movement and congestion. The UrbanLogiq platform aggregates traffic data from multiple sources and provides central access to all traffic count data. Ingest all of your traffic data into a central platform. 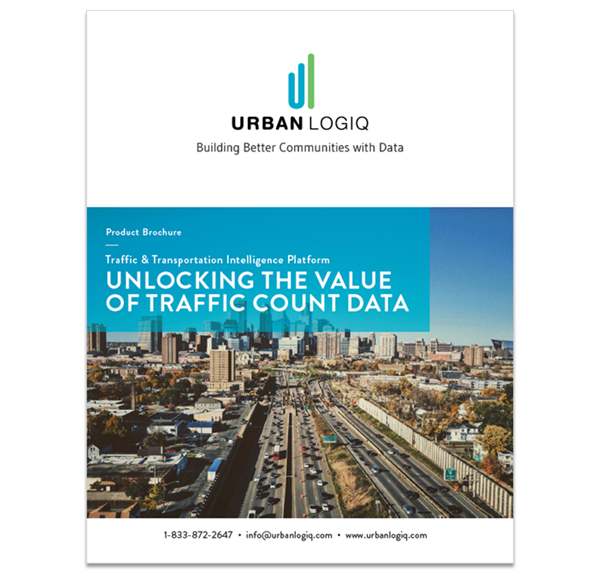 UrbanLogiq takes all of your traffic count data, manual or automated, guaranteed. Including traffic volume, speed, classification, turning movement, and accidents. Calculate live and historical 24 hour traffic volume changes, Average Annual Daily Traffic (AADT), Peak Hour Factor (PHF), as well as other important actionable insights with a few simple clicks. Add conventional and unconventional data sources such as weather, infrastructure, events, mobile, and crowd-sourced data and derive insights on how each impact traffic. UrbanLogiq’s machine learning (ML) and artificial intelligence (AI) analyzes all the data layers and develops an algorithm that can predict the behavior of traffic days in advance with a high level of certainty. Entirely cloud-based and requires only a computer and an internet connection. One annual license covers everyone at your city. Easily share platform access with anyone in any department. 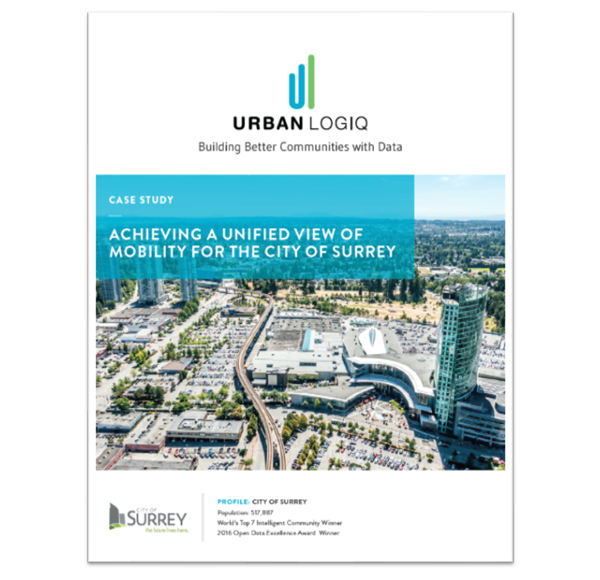 Learn how UrbanLogiq helped one of North America’s fastest growing cities aggregate all their traffic data into a centralized platform resulting in easily accessible data, real-time calculations, and huge time and cost savings.